prostate cancer survivor and advocate, by the grace of GOD! Thank you, NFL! Get screened!!! For those who follow me on this blog (all 2 of you i bet), I know it’s been a while since I’ve posted. I’ve been busier on my Twitter feed more than here. BUT, it’s September again. What does that mean? 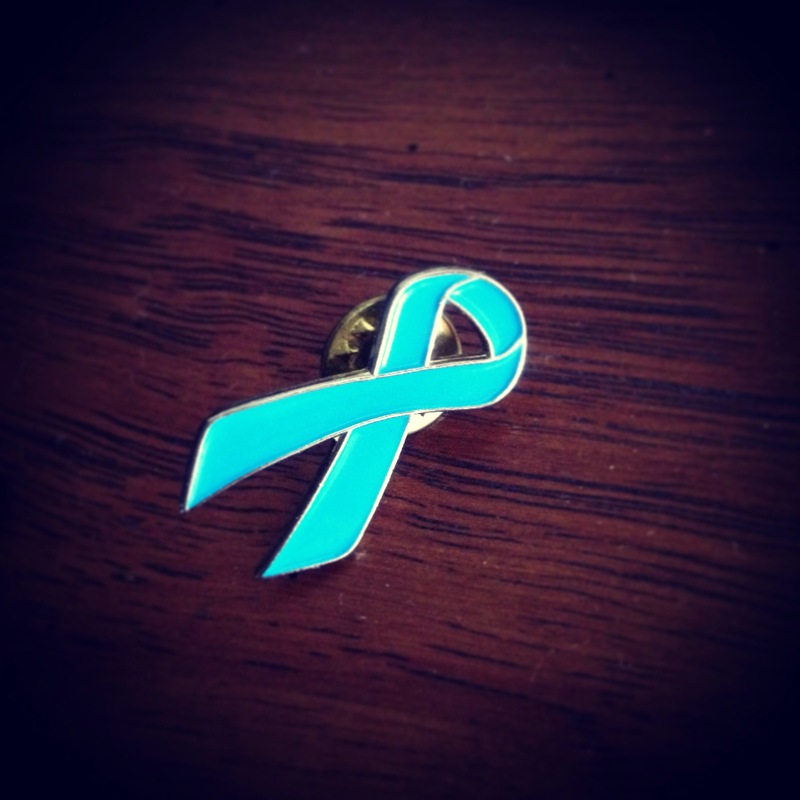 Well, it’s rarely known but September is PROSTATE CANCER AWARENESS MONTH! Though it’s not nearly as popular as October is with Breast Cancer Awareness, it is equally important as it is known that prostate cancer is the 2nd largest cause of death among men (2nd to heart disease), yet it is the leading type of cancer that men die from. At least that’s what I’m finding so far. So why do men leave this earth because of prostate cancer??? It’s mainly because of plain and simple ignorance, mostly by choice. Most men don’t care to know anything about their health, so not knowing is believed to be a cure. You know the old saying, “What you don’t know can’t hurt you?” Cancer doesn’t consult with you for permission to attack your body. A better saying is, “What you don’t know can kill you!” Prostate cancer grows slowly so annual screenings can catch it and the proper treatment, especially performed in the early stages, can save lives in a heart beat. I have to jump on my soapbox again and question why the #NFL and other sports organizations (like #MLB) that run in September won’t help raise awareness for prostate cancer? Now I’m sure organizations like Susan G. Komen pay top dollar to have pink everywhere during October, especially on many football fields. But does it take a lot of money or a celebrity to do the same for men’s health with so many millions of men who are glued to their tubes every Sunday, Monday, and Thursday or any other day of the week? Or how about Saturdays with college football??? Millions upon millions of men watch from their sofas or tailgate parties enjoying every play (like myself) — that is the perfect time to have a commercial or any public service announcement about prostate cancer. Why is this not happening??? Too bad I’m not rich or popular to help make this happen. But that won’t stop me! I will do what I can in my own little sphere to raise awareness and spread the word. I just need more brothers to do the same, whether you’re a survivor or not. Here’s a challenge: If anybody knows the best way to send a message to leading sports organizations (NFL, MLB, NCAA, etc.) please let me know and let’s do it together!!! I attempted to contact the NFL a couple of years ago but didn’t have a good method of contact to even make a dent. I received no response. But it would be great to see some light blue on football fields and baseball diamonds, trimming football helmets and baseball caps, and even better on coaches’ apparel as they scream from the sidelines or dugouts. Until then, let’s talk to our neighbors, church members, co-workers, grocery shoppers, and so on. For fathers like me, we can also reach out to our kids’ schools to help raise awareness at the Friday night games! Let’s help save lives and raise awareness for more screenings, one brother at a time. I’m an NFL fan. More specifically, I’m a Dallas Cowboys fan!!! (hello, haters) I went to the first season opener against the New York Giants (what an upset at the end!). I ran into a former Cowboy and church member who will remain nameless (mainly because I forgot to ask if I could mention him out of respect). But I took the opportunity to ask him: “What would it take to get the #NFL to raise awareness for prostate cancer?” Without hesitation, he replied: “For someone famous to die from it.” I sort of figured this out a year ago or so and mentioned it in a previous post. It’s a sad truth I assume. I find it also an either-or situation. Either you have to be famous and die from the disease, or just famous. Does it really take that? I’m neither famous (and not trying to be) nor am I dead. I’m alive by the grace of God, totally. But I’m pushing hard with posts, tweets, and hashtags to get the attention of a few athletic associations who each have a massive male audience, and an even more massive influence on them. The month of October is always filled with pink on the football field by players, coaching staff and fans in the stands. Even the artificial and natural turf of the fields are arrayed with the hue. I’m totally for raising awareness for #breastcancer with my sisters. But why should every September go by and there’s not one mention of prostate cancer awareness on the football field, baseball diamond, or any other major sport with light blue or cyan trimmed jerseys, helmets, and caps? Too many men ages 35+ watch the games religiously, and many of these same men will not get screened. Most don’t think about it. Still others do, but refuse to do anything because they don’t want the few seconds of uncomfortable experience. I’ve experience the few seconds of discomfort (digital rectal exam, along with PSA) and avoided weeks, months, and years (maybe) of utter discomfort by going through more rigorous treatment, or worse, suffering from an advanced stage as my body slowly, or rapidly, deteriorates. I had no symptoms. When that happens, now you’re talking about an advanced stage. All it took was to hear the announcement of a free screening and upon going, getting a phone call a week later informing me of a high PSA. Read the details of my story here. But, much more needs to be said. More awareness needs to be made through the right resources, at the right times, and in an impactful manner. There are many men and organizations doing such, but I’m not sure if they are being heard. I went to my second Prostate Health Educational Symposium this year that was held at a church which includes approximately over 1,200 men in their congregation, but the symposium only attracted about 15-20 men. Very good for the few who attended, but very sad for the thousands who didn’t – not because they couldn’t, but because they chose not to. I’m challenging you (again) #NFL #MLB #DallasCowboys #Cowboysnation #TexasRangers and any other team or sport airing in the month of September. WAKE UP and RAISE UP!!! 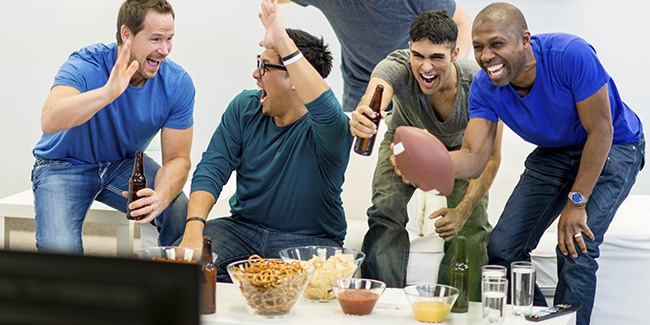 Millions of men watch your events on big screens with their families and friends at homes and tailgate parties. Let’s start a campaign. Sorry I’m not famous, or dead. If you won’t use me, use anyone. Just do it!!! How about that #Nike or even #Adidas #Reebox #UnderArmor and so on. There are millions of men who love sports more than their health. Let’s get in their faces and help save lives. It’s game time! It’s September, also known as #prostatecancer awareness month. I will be a 9-year survivor this December. There needs to be more awareness for this. More men need to know and get checked. I really wish the #NFL would help get the word out since they heavily attract men’s attention during the entire season. It’s great to raise awareness for #breastcancer in October with all the pink, and I support that. But there are millions of men who watch football and unknowingly become victims of prostate cancer because they won’t get screened. Please help us, #NFL to encourage more men get their heads off the field, beyond the TV screen, and on their health! It’s April 7. I have reached the landmark age of FIVE–0!!! It is totally by GOD’s mercy that I’m able to reach this age, 8+ years after being diagnosed with prostate cancer. I don’t deserve to be here. I’m so thankful to be here for my wife and kiddos and to help many brothers who go through the same thing. Just had a brother approach me this past Saturday and inform me that he tested positive. He asked for prayer and I said let’s do this now! Then yesterday, I went to my urologist for another annual PSA check up. Should have the results soon and you know I will post them here. For 8+ years I’ve been going to Methodist Hospital in Dallas, more specifically the Texas Urology Specialists, to get the “ultra-sensitve” PSA with the more accurate reading, as opposed to the general < or = to .05. My doctor said since I’ve remained rock solid in the undetectable range he doesn’t see a need for me to continue getting the ultra-sensitive results. But I really like to know so I said, “Let’s do it one more time.” Shoot, I may ask for it again next year! 😉 Stay tuned for the results in a few days.